I attended public school for twelve years. The high school I graduated from was majorly overrun by able-bodies. Most of my teachers were able-bodied. Most of my friends were able-bodied. I currently attend a private college that, once again, is mostly able-bodied. I, for the most part, live in the able-bodied world, represented by able-bodied Congress people and an overtly ableist president. In short, my life is at the mercy of people who do not understand the nuances of my existence as a disabled woman. 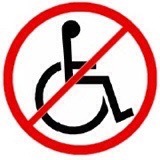 Although many able-bodies are accommodating, this country is still not fully disability-friendly. This is something my able-bodied peers struggle to understand. They often assume that the world will adapt to meet my needs. Unfortunately, this is not the case. For example, the subways in New York City have never been accessible. This, of course, is not my able-bodied peers’ fault, however, they often misunderstand my struggles and deny their able-bodied privilege. Contrary to popular beliefs and feelings, able-bodied privilege does not mean that able-bodied people live a life without struggles. Instead, able-bodied privilege means that non-disabled people live without the struggles that come with having a disability. A few days ago, one of my neighbors was discussing politics. As she spoke of many current issues, she repeatedly told me that I “don’t understand” and that while I have “disability struggles,” people like her have struggles too. Obviously, that is not untrue, however, it is important to note that having “disability issues” does not automatically guard people from other struggles. 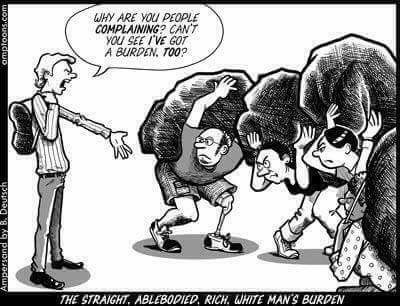 This is the problem with privilege in America. Yes, we all struggle. Yes, all of our struggles are valid, but having a disability often comes with more struggles. Able-bodied people do not have to call restaurants to ensure there are ramps, low tables, and elevators. Able-bodied people can use ride-sharing services like Uber and Lyft without worrying about whether or not their wheelchair can fit into the trunk. Able-bodied people do not have to pay for personal care attendants (and oftentime need government-funded healthcare as a result). Able-bodied people do not have to worry about whether someone would date a disabled person or not. Able-bodied people are not denied job offers because of a disability. Able-bodied people can easily turn government funded programs into economic issues because they do not need it. Able-bodied people do not need interpreters. Able-bodied people can travel without worrying about accessibility. Able-bodied people do not understand what it is like to sob on their dorm room floor for a half hour because they cannot get their jeans over their feet. Able-bodied people have not been told that anyone else in their position would easily choose assisted suicide over a lesser existence. Able-bodied people do not see their privilege, but that does not mean it does not exist. 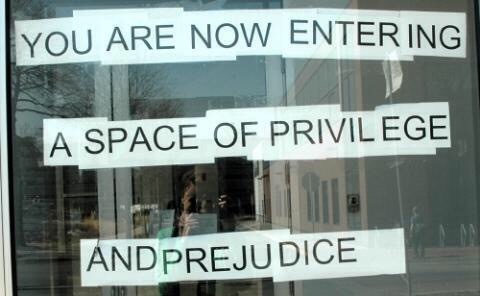 Privilege, unfortunately, is often misinterpreted as a care-free existence or an easy life. Life is never easy. By saying someone has able-bodied privilege, I am not belittling their struggles and experiences, but reminding them that they do not have to fight for their right to live like disabled people do. Asking able-bodied people to recognize their privilege is not asking them to apologize. They did not choose their body and neither did I. What I want from able-bodies is much simpler–a voice. I want able-bodies to recognize that when they speak, they are speaking from a place of privilege. I want them to understand that privilege often clouds their judgment and renders them clueless when it comes to disability. I want able-bodies to stop saying, “It’s just politics” because their lives are not dependent on the choices of a select few lawmakers.